The Supreme Court's stay of U.S. EPA's Clean Power Plan doesn't amount to much for many of the nation's electric utilities, as they were already planning to close down their older coal-fired generating units in the next five to 10 years and move to cleaner sources of electric power. For most of the rest, the stay allows for more time to puzzle through various compliance options should the rule eventually pass muster with the high court in 2017 or 2018. The 5-4 decision late Tuesday freezes the Clean Power Plan while the rule is under review at the U.S. Court of Appeals for the District of Columbia Circuit. The stay throws open the door to a prolonged legal battle that could delay early decisions by states about how to meet federal emissions targets outlined in the rule (see related story). The Supreme Court action "doesn't really change anything," said Quin Shea, vice president for environment at the Edison Electric Institute, the lobby for investor-owned utilities. Speaking to Wall Street executives yesterday in New York, Shea said larger trends -- such as coal retirements, cheap natural gas, environmental regulations, cheaper renewables and new business models -- aren't going away, regardless of what happens with the CPP. "We're still reducing CO2, and the general curve, in terms of our emissions reductions, that's not going to change because of what happened yesterday," Shea said. "You don't simply put the genie back in the bottle when it comes to major strategic investments that the captains of industry are making." Ralph Izzo, chairman, president and CEO of Public Service Enterprise Group Inc., echoed Shea in an interview yesterday with E&ETV. His state of New Jersey "has done a good job preparing for a CPP-type future. The question just becomes: What are the rules of engagement that are specific to CPP? And that's now been thrown up in the air," Izzo said. "We've stayed out of the detailed legal debate," he said. As far as an eventual consensus on curbing carbon emissions, "it's a question of timing, not a question of if." PSEG "firmly believes that carbon emissions need to be reduced. We do believe that climate change is a serious issue; all the science points to that. It is real, and action needs to be taken; it's not going to wait for us to get our legal or political act together," Izzo said. "So what we've said is, let's just keep marching on the path we've got. I've always predicted this is not going to be decided anywhere but at the Supreme Court," he said. While the "unusual" ruling was a "surprise" for Gerard Anderson, CEO of DTE Energy Co., he said the court decision will have no effect on the company, at least over the next decade. "A quick reaction, with one night to sleep on it, is that I'm not sure not much will change for us in the first half of the 15-year Clean Power Plan implementation period. That's because we and many in the industry are dealing with during that period with the replacement of very old, smaller and marginally economical [coal] plants, especially given gas prices now," Anderson said during a conference call to discuss fourth-quarter earnings. With or without a carbon rule, DTE and Consumers Energy will be retiring a number of older, less efficient coal plants. Detroit-based DTE, in particular, will see coal shrink from 50 percent of its generating portfolio to 25 percent by 2030, to be replaced by natural gas and renewables. "It's time to move on," Anderson said, noting that some of the plants are from the 1950s and '60s. Depending on what happens, the court action could have an impact in the second half of the next decade, however. "As you get out in the later years, 2025 to 2030, you do start to take on some of the larger facilities," he said. "So if it turned out that the Clean Power Plan were changed in some way, those years I think could be affected. That said, there is a lot of water that needs to flow over this dam before we get too specific about the impacts of the stay." Before the court's stay, American Electric Power Co. Inc. -- a major operator of coal-fueled power plants -- had projected a significant drop in those units' production. Coal plants account for 60 percent of the utility's 32,000 megawatts of generation capacity, and AEP expected that to drop to 45 percent by 2026. "I don't think the stay changes the projection," said John McManus, AEP's vice president for environmental services. "That is based on existing rules we know about and assumptions based on natural gas prices, electricity market prices and customer demand. "It does not include any compliance assumptions of the CPP." However, AEP, like other utilities, does include in its projections an implicit price for carbon, which gives a competitive edge to non-carbon sources like nuclear and renewable power. AEP assumes there will be a carbon abatement program for power plants. Does this give efficient coal units a reprieve? "That is really a timing question," McManus said, noting that if the stay delays the current compliance schedule beginning in 2022, "coal units aren't going to have to deal with this for some additional time." "The biggest driver now that we're seeing is the way energy markets are now with gas prices," he added. That will decide the competition between coal, natural gas and other resources over the next few years. "The implementation of the rule is stayed until its ultimate resolution, but that doesn't prevent a state from doing something proactively, moving forward on its own." Oklahoma-based OGE Energy Corp. was pleased with the stay "even though OGE is well on track in making reductions in CO2 emissions due to our compliance with [a] regional haze rule as previously mandated," said Randy Swanson, an OGE spokesman. He said the stay could provide "some breathing room" as well as "more certainty on compliance decisions pertaining to the rule as the rule goes through litigation." In Minnesota, where utilities began working with state regulators on compliance strategies more than a year ago, officials expressed surprise at the stay. But utilities also indicated they would continue working to meet carbon reduction targets even as EPA stands down on CPP enforcement. "While the Supreme Court's ruling is a significant development in this case, the merits of the case have not been decided and the legal proceedings will continue," Minneapolis-based Xcel Energy Inc. said in a prepared statement. Regardless of the final outcome, Xcel said it will continue to work with states and stakeholders on plans "to create sustainable and affordable energy futures." "This approach will not only ensure compliance with existing and new regulations, but also take advantage of new technologies, recognize evolving customer needs and continue to drive improvements in how we produce and deliver energy," the Fortune 500 utility said. Amy Rutledge, a spokeswoman for Minnesota Power, said the company welcomes the stay "since it allows time for the lower Courts to hear and resolve the many legal concerns" about the CPP. She said the Duluth-based utility "will continue to stay engaged in the process as the court determines the next steps for this complicated and impactful regulation." Utilities in the far West, where states have been pursuing carbon-cutting policies for some time, vowed to continue despite the setback. "We're still going to continue to look to ways to cost-effectively expand our commitment to renewable resources," said Ry Schwark, a spokesman for PacifiCorp, which has operations in Oregon, Washington, California, Utah, Wyoming and Idaho. PacifiCorp -- a signatory to the White House's American Business Act on Climate Pledge in December, supporting the U.N. climate talks in Paris -- intends to "continue to work with states as they develop their plans," Schwark said. Schwark said he thought the ruling would encourage states that have been writing carbon regulations, like Oregon and Washington. "This development is just likely to accelerate the momentum for state action," he said. One of California's largest investor-owned utilities also pledged support for state-level action. Southern California Edison expressed disappointment in the court's ruling but added that "SCE supports the Clean Power Plan and will maintain an active role in supporting California's efforts to reduce greenhouse gas emissions, including support for renewable energy, transportation electrification, energy efficiency and innovative, clean energy technologies." Many states and utilities across the midsection of the country were looking to analysis and economic modeling being done by the region's grid operator. The Midcontinent Independent System Operator, which operates the power grid across parts of 15 states, is just wrapping up its near-term analysis of the final rule, which is evaluating dozens of potential scenarios to see what effect the rule would have on the power plant fleet in its footprint. A presentation is scheduled for a Feb. 17 meeting. * "Ameren Corp. is already making the transition to a cleaner and more diverse generation portfolio in a responsible manner," Ajay Arora, Ameren's vice president of environmental services and generation resource planning, said in a statement. • Calpine Corp. spokesman Brett Kerr said the move wasn't something the market actually anticipated. "We'll continue to be supportive of the Clean Power Plan," he said, pointing to a "natural evolution of the market anyway" away from less efficient coal plants. "So it won't really dictate us to change our strategy too much, which is to focus on being the premier operator of gas-fired plants in the United States." He said it's not in anybody's interest to have a federal implementation plan that dictates compliance for Texas. • Dominion spokesman David Botkins, said "We will work constructively with the Commonwealth and other stakeholders on a compliance plan that has our customers as the first priority, ensures reliability, and maintains a diverse mix of electric generation." • New Orleans-based Entergy Corp. has utility operations in Louisiana and three other states as well as a fleet of nuclear reactors. "Entergy representatives will continue to engage with our states and stakeholders while we await the court's decision," said Chuck Barlow, vice president of environmental strategy and policy. "We are uncertain at this time what additional steps our states may take, if any, regarding Clean Power Plan implementation or review," he said. • Exelon Corp., the nation's largest nuclear operator, said, "Regardless of this procedural development, the Supreme Court already has ruled that carbon is a pollutant the EPA must regulate. Our customers want reliable, clean and affordable electricity, and Exelon remains committed to helping drive the national transition to a low-carbon future." • Iowa Association of Electric Cooperatives Executive Vice President Chuck Soderberg, said, "Moving ahead with implementation of the Clean Power Plan regulations before legal challenges are played out would have caused many Iowa cooperatives to take costly and irreversible steps to comply." • Pahl Shipley, director of corporate communications at New Mexico-based PNM Resources Inc., said the stay doesn't affect the company's plan to lower the use of coal significantly by retiring two units at the San Juan Generating Station. "We'll monitor developments and continue to work with the state, but regardless of the outcome the company is moving forward to cut carbon emissions and add cleaner resources to our portfolio, including solar and natural gas," Shipley said. • Southern Co. spokesman Tim Leljedal called the stay "the right decision for customers and the states unduly tasked with achieving EPA's overreaching mandates." It protects "utility customers against significant near-term costs" while preserving states' authority while the courts weigh ongoing legal challenges, he said. • Southwestern Electric Power Co., part of American Electric Power Co. Inc., said the court's move confirms that the legal justification for the rule should be looked at by courts before scarce resources are used to develop state plans. "The accelerated schedule for briefing and argument in the lower court assures that the case will be heard promptly," said Peter Main, a spokesman. "AEP has already cut its carbon dioxide emissions 30 percent from 2005 levels, and we will continue to reduce carbon dioxide emissions from our generation fleet as we transition to more natural gas and renewable resources in the future." • Pacific Gas and Electric Co. said it was "disappointed" by the ruling. "We believe EPA has ample legal authority to pursue the Clean Power Plan," said Vice President of Federal Affairs and Policy Melissa Lavinson, calling EPA's rule "measured and reasonable." "PG&E will continue to support the Clean Power Plan and will move forward with the many steps we are taking to support California's commitments to reduce greenhouse gases." Where MISO will go with its longer-term analysis of the impact of the Clean Power Plan is unclear given Tuesday's court decision, spokesman Andy Schonert said in an email. However, the Carmel, Ind.-based grid operator is considering modeling a "Partial CPP Future" scenario that assumes that legal or political challenges would slow or halt compliance. "We will continue to discuss that possible scenario and other potential scenarios with our stakeholders to ensure we are developing transmission plans that ensure the continued reliability of the electric grid," Schonert said. The PJM Interconnection said it is still "committed to delivering to the states, as promised, the analysis of the potential effects of the Clean Power Plan on wholesale markets and reliability. PJM intends to complete the planned analysis. Our role is to provide data and analysis to help inform the states should the states need to make decisions in the future." The Electric Reliability Council of Texas previously warned that the Clean Power Plan could lead to the closure of at least 4,000 MW of coal-fired generation in Texas and an increase in retail power prices. The operator is watching the rule's progress. "ERCOT will continue to monitor developments and provide information as needed to Texas policymakers on this and other matters that could affect future electric reliability," said Robbie Searcy, an ERCOT spokeswoman. The Southwest Power Pool, which operates the grid across much of the Great Plains, said it's still evaluating implications of the stay. "We will work closely with our stakeholders to determine how this action impacts both our ongoing regional transmission planning efforts and our work to facilitate compliance with the federal government's carbon reduction goals," said Lanny Nickell, vice president of engineering at SPP. Nickell said SPP's stance has remained the same since a draft rule came out in 2014 -- "that sufficient time is needed to develop the necessary transmission infrastructure to facilitate the Clean Power Plan's reliable implementation." Jeffrey Connor, interim CEO for the National Rural Electric Cooperative Association, which had opposed the EPA rule, said "charging ahead with implementation of the Clean Power Plan would have caused immediate and irreparable harm" because co-ops "would have been forced to take costly and irreversible steps to comply with the rule." Rick Lancaster, vice president of generation at Great River Energy, which produces power for roughly 1.7 million customers through 28 affiliated cooperatives in Minnesota and Wisconsin, said yesterday that officials were still gauging the implications of the court stay. "We're still not sure what the full outcome will be, but it appears to at least buy us a little more time," he said. The additional time could be especially helpful for Great River in North Dakota, since its affected coal units -- including the 1,100 MW Coal Creek Station -- are concentrated in the state's lignite coal region. Much of the power from those coal units is sent across high-voltage direct-current transmission lines into neighboring Minnesota. North Dakota faces one of the toughest CO2 reduction requirements under the Clean Power Plan, at nearly 45 percent, and many of the state's utilities have rallied around the state-led legal challenges to the rule. North Dakota just last week joined the Supreme Court petition filed by more than two dozen states asking for the stay. Lancaster noted that Great River was not among the utilities challenging the CPP because it believed the rule is consistent with earlier Supreme Court rulings on EPA's standing to regulate carbon dioxide under the Clean Air Act. "It was not our point of view that the rulemaking was contrary to existing law, so we were a little surprised," he said. That view is not shared by Basin Electric Power Cooperative, one of North Dakota's largest power providers, which said in a statement that the court stay was "a positive step in the right direction," noting the rule's effect on the co-op's customers, "those who will be left paying for compliance with this rule." The American Public Power Association's response in welcoming the stay was measured. "Almost all parties agree that implementation of the CPP will result in broad and transformative changes to the electricity industry. Thus, resolving these highly controversial issues will significantly reduce the uncertainty of the program and, ultimately, the costs to consumers," the group said in a statement. In the interim, APPA said, its public power utilities will continue "substantial progress in reducing greenhouse gas emissions through greater use of renewable, nuclear, and other low- and non-emitting sources of electricity generation, and the implementation of energy efficiency and conservation programs." Asked what APPA would tell members about whether to continue to prepare for possible compliance with the rule, Joe Nipper, APPA's senior vice president for regulatory affairs and communications, said, "With the caveat that we don't 'advise' our members per se, but if asked, our suggestion would be to continue to participate in the state's process if they intend to continue with it." 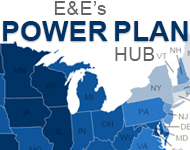 Click here to read how states are grappling with the Clean Power Plan stay.